What’s So Great About Bamboo Flooring? We all love the look of hardwood floors. They’re warm, natural, and classic. What if I said you could get all those things with bamboo flooring? You’d spend less and help the environment at the same time. 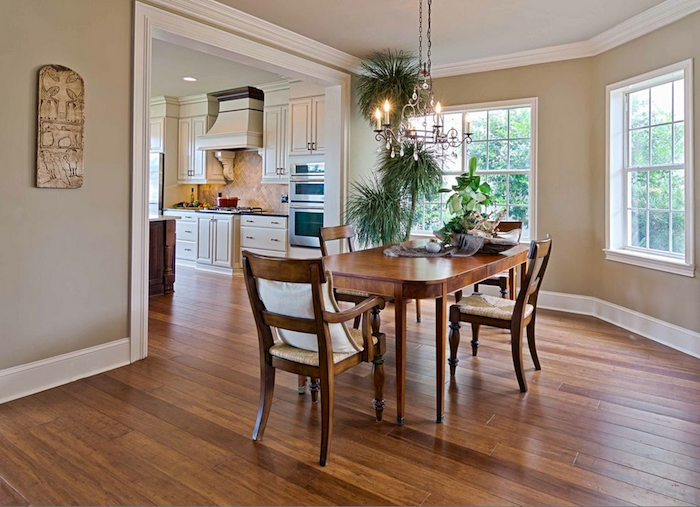 Bamboo flooring is growing rapidly in popularity for good reason. Let’s take a closer look. Here’s why you should consider bamboo. Bamboo is great because it’s a natural plant. But the real reason it’s so eco-friendly is that it grows incredibly fast. That means it can be harvested more often. If you cut down an oak tree for flooring, it will be decades before it grows back. Bamboo can be harvested every 3-7 years. That’s a lot more sustainable. Because it grows so fast, bamboo is not a scarce resource, which means it often costs less than traditional wood flooring. 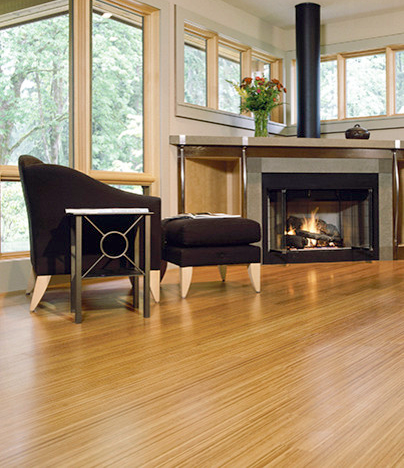 On average, bamboo floors cost between $5 to $7 per square foot. Hardwood materials like pine and walnut usually cost almost $10 per square foot. Many people look to save money by using synthetic materials, but with bamboo, you’re still getting gorgeous, all-natural flooring. Bamboo is sleeker and has fewer knots. People love its smooth, elegant feel. You have many color options too, from nearly white to rich cherry tones. Bamboo flooring is versatile. Many people think the material only works with with minimalist, modern, and Asian-inspired designs. It’s true, bamboo does look great with those styles, but it also looks amazing in more traditional and family homes. No matter what style you want, you’ll probably be able to find a bamboo option you love to complement your space. You’d never know it, but bamboo floors are actually harder and more durable than traditional wood floors. In fact, bamboo is not wood at all. The plant is in the grass family. That’s partly why it grow so fast. 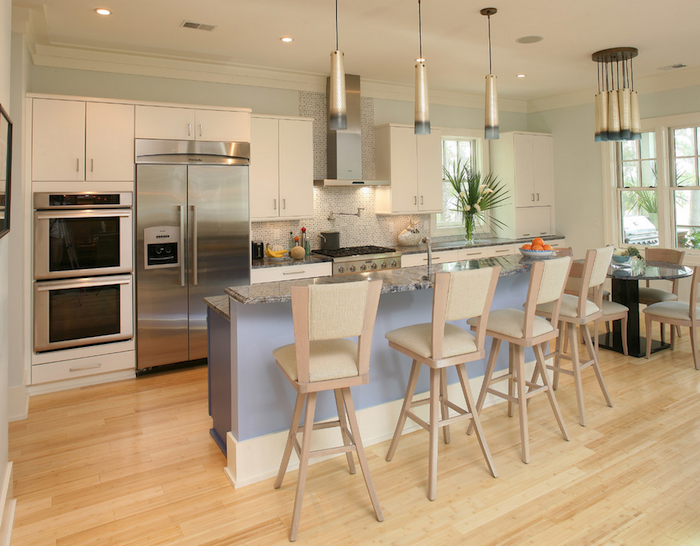 Bamboo is also more resistant to water damage than regular wood, which makes it great for the kitchen. 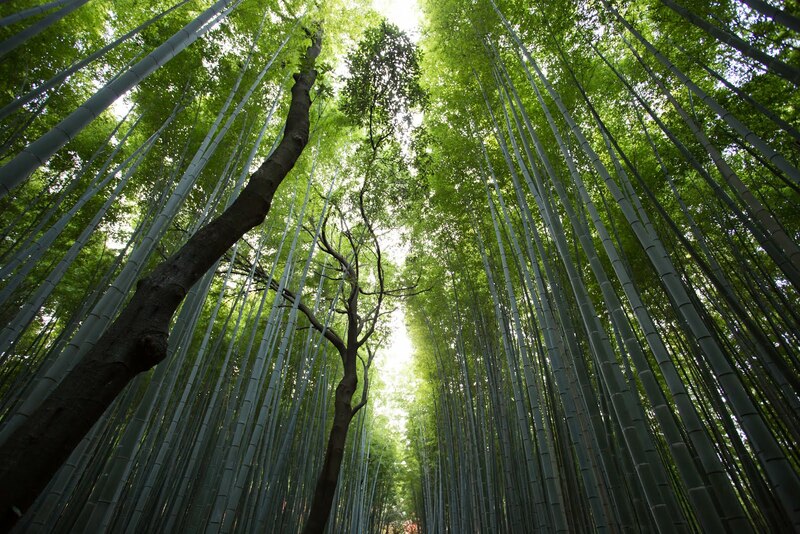 If you live in a moist area, bamboo is less likely than wood to get warped over time by the humidity. Maintenance is one of the first things people want to know about when considering flooring materials. Bamboo might sound fancy, but cleaning it sure isn’t. Just clean it the same way as a regular wood floor. Use a damp (not soaking wet) mop and gently run it over the entire surface. Even though bamboo is pretty resistant to water damage, you still don’t want to leave standing water there. It will eventually soak in and might warp the material. Avoid that by using a towel to wipe down the floor when you’re done cleaning. Easy! Are you convinced? Bamboo doesn’t just look good. It’s also versatile, strong, and affordable. 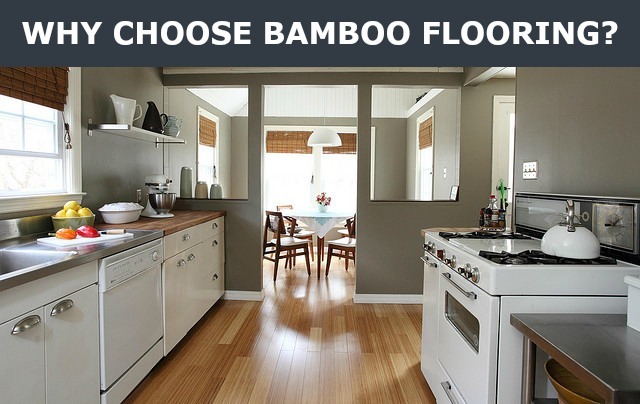 If you want bamboo flooring in your home, we’re here to help with everything from design to installation.